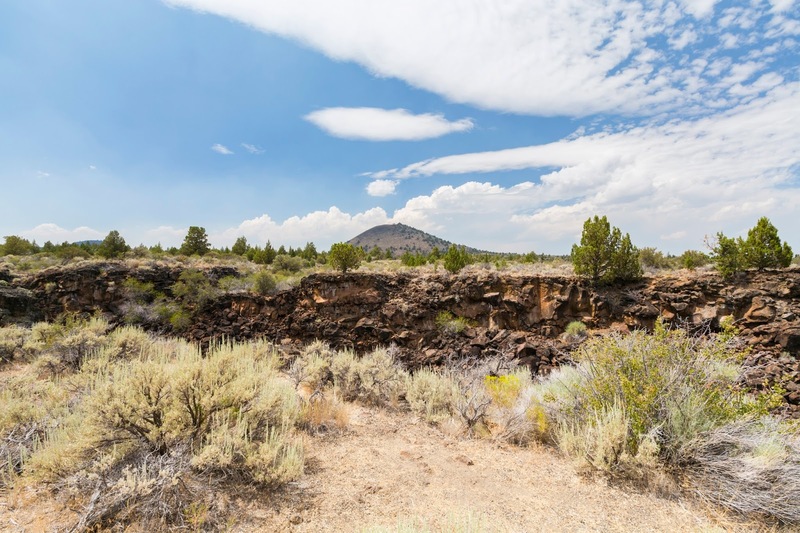 Today I have part 2 of Lava Beds National Monument. 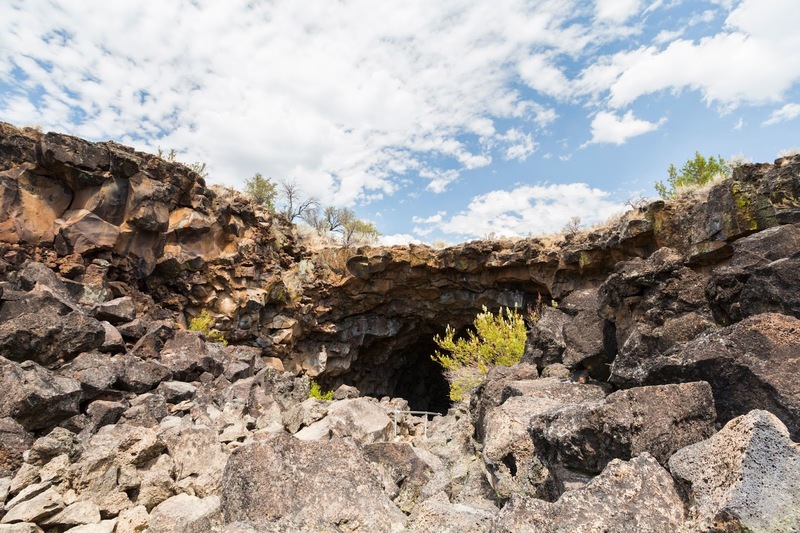 Lava Beds National Monument is part of a volcanic system and contains many empty lava tubes (caves) that you can go down and explore. In the park, only one of the caves (Mushpot Cave) is lit. 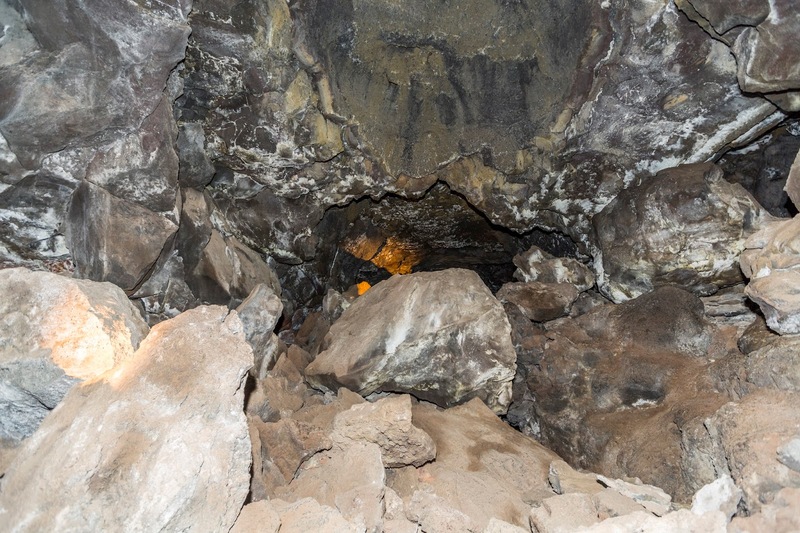 The other caves are pitch dark and will require flashlights to go exploring. 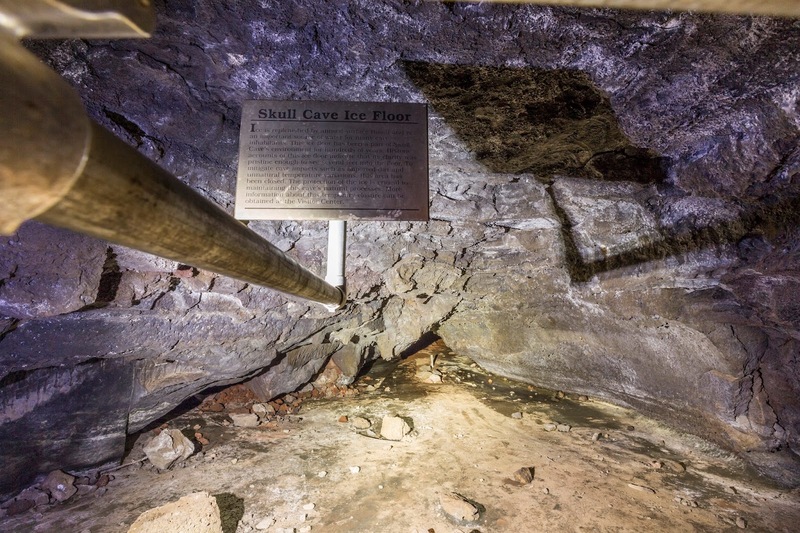 The temperature in the caves are very cold, a great place to go on a hot summer day! If you want to explore something you haven't seen before, this is a good place! Just make sure you have a good flashlight. Photographing in the caves was also a very hard. At night, you can work with light from the moon, which will be bright enough if you expose long enough. In the caves, all light have to be created by you! The following cave shots were shot using a very very strong flashlight and my Canon Speedlite 600EX-RT. After I finished up with Mushpot Cave, I headed to Skull Cave. 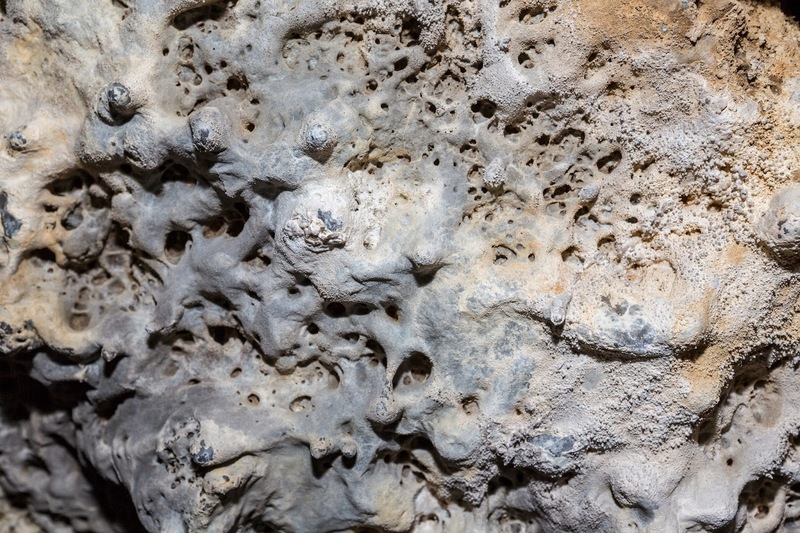 The cave is named that because animal skulls were found in the cave. It is suggested Native Americans have lead animals into the caves as offering to God. Heading into the cave. I feel sorry for the people wearing shorts... It was quite warm outside, but it was freezing inside the cave! Remember, some of these caves have ice. The temperature is BELOW freezing. If you plan to visit, don't take this warning lightly! 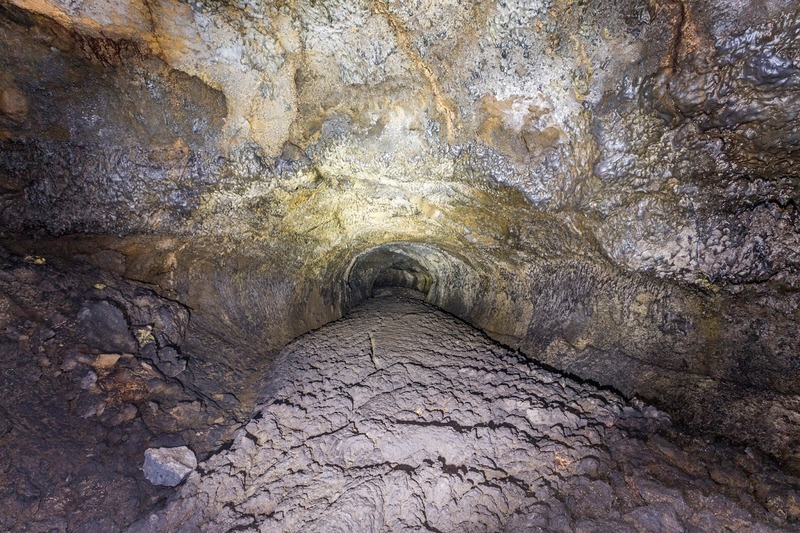 The outside temperature has no effect in the cave and the temperature drops off very very fast as you adventure in. Further into Skull Cave. As you can see it is already dark enough I need to use my flashlight to guide me. 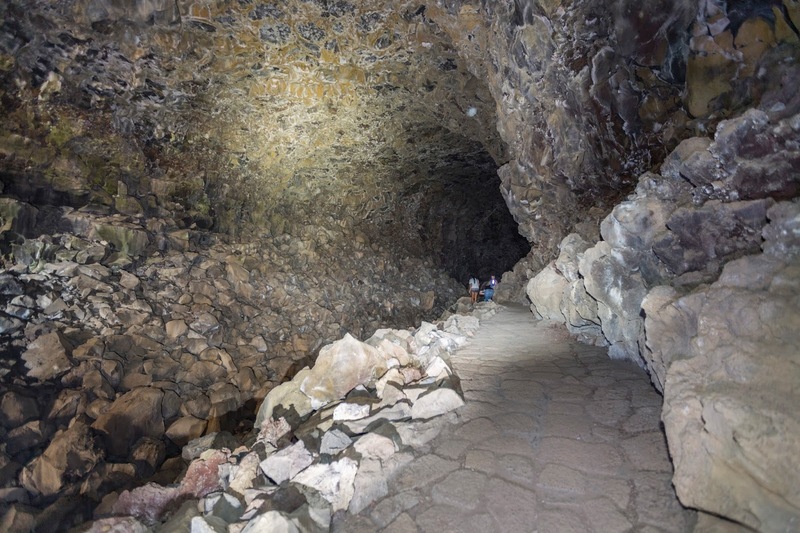 Not only is the flashlight required for any type of photography in the cave, you also need it to get around. Always make sure you bring a backup! As recommended in my previous post, it is recommended you borrow a back up flashlight from the visitor center. Your flash will have limited effect in the cave due to the physics. Your flashes power drops off exponentially not arithmetically. 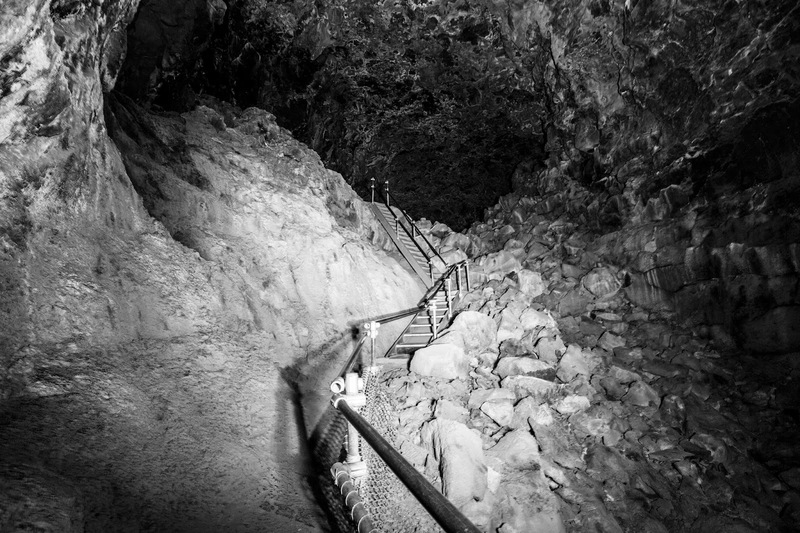 The stair well inside the cave. All the light in the shot was produced by me which is why there are harsh shadows. The railing inside the cave sure was cold. Not a lot of visitors made it to the end. Those tourists you see in the above photo turned back half way probably because it was too cold for them. The ice floor in the cave. The area used to be open to the public but people tourists damaged it, so it is now fenced off. The cave formations. The orange light you see is from the flashlight I borrowed from the visitor center. As you can see it isn't very bright. I didn't notice it in my shot. 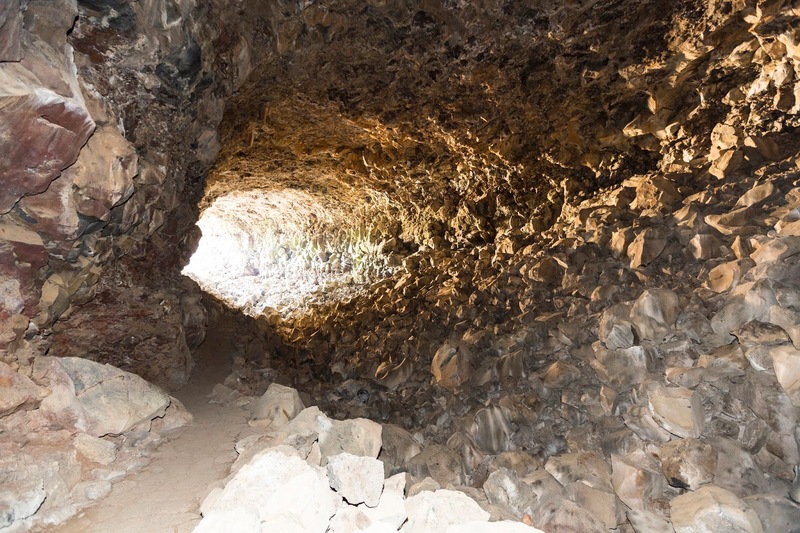 Here is what the entrance of the cave looks like from inside the cave. 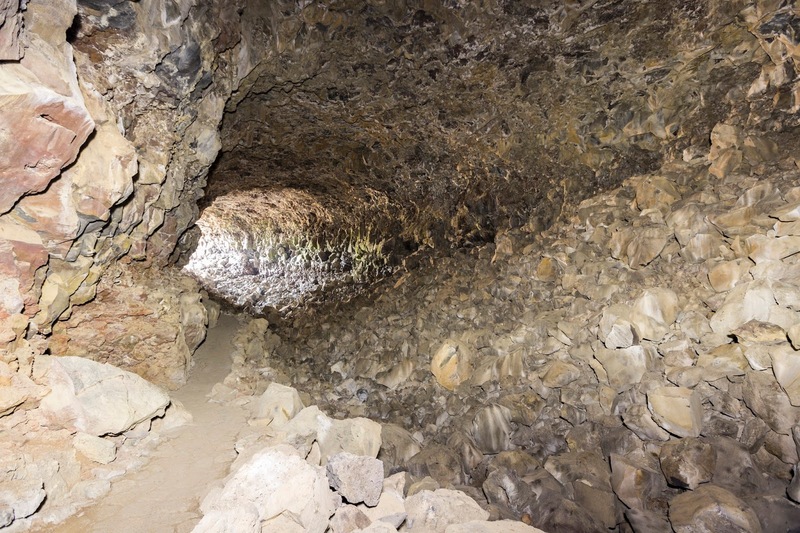 Here is another shot of the cave from inside looking toward the entrance. 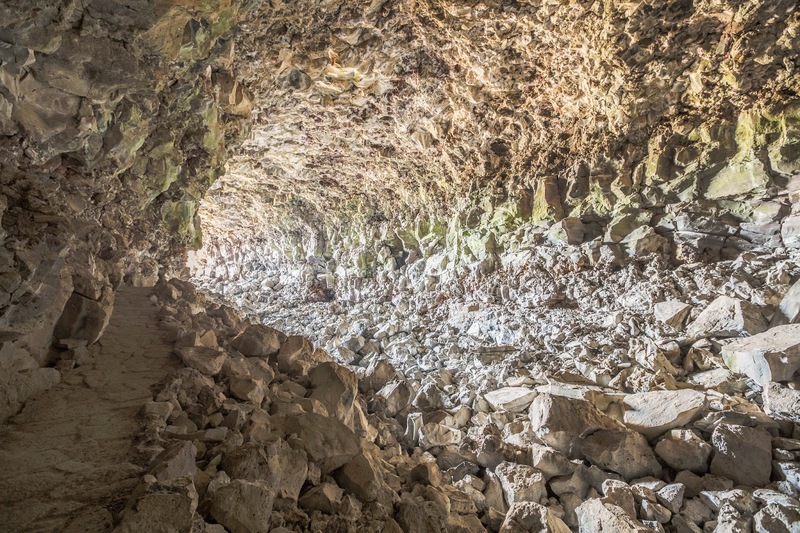 HDR composition of of the entrance to the cave. 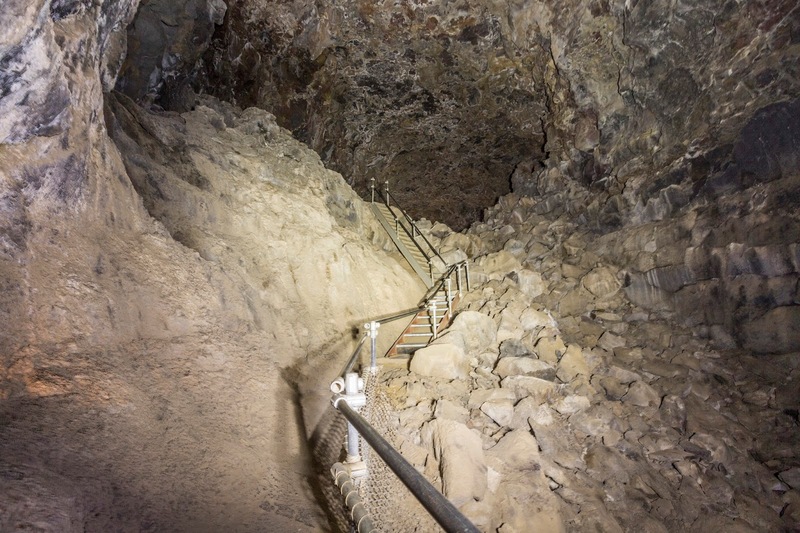 Here is a photo of the entrance to the cave from outside. Scenery near Skull Cave. 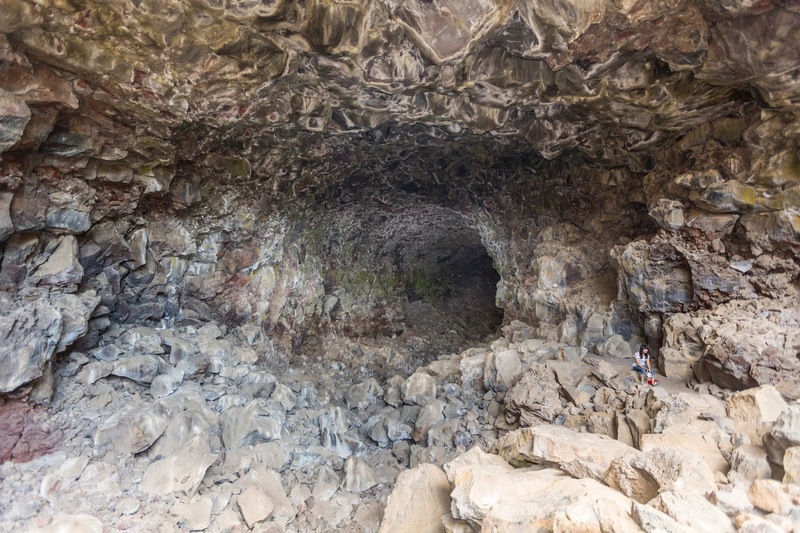 As you can see this area seems to be a collapsed lava tube. 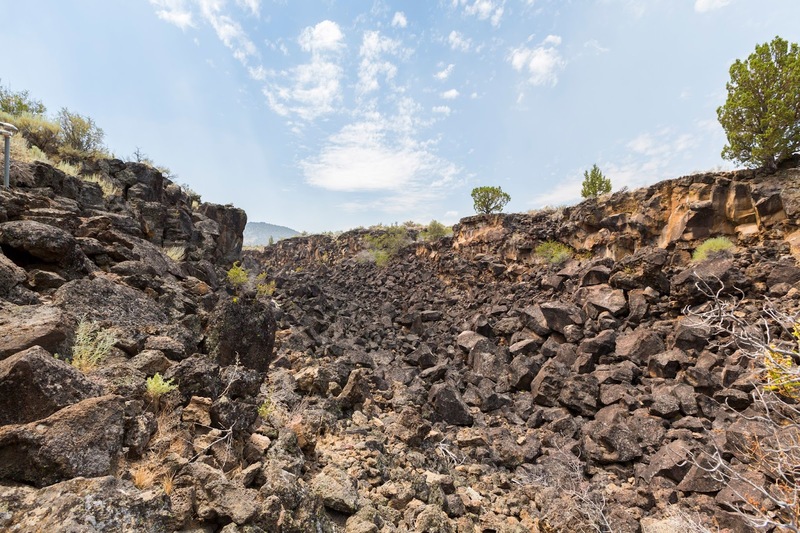 A lot of rocks in the area but this deep void. After Skull Cave, I headed to Valentine Cave. 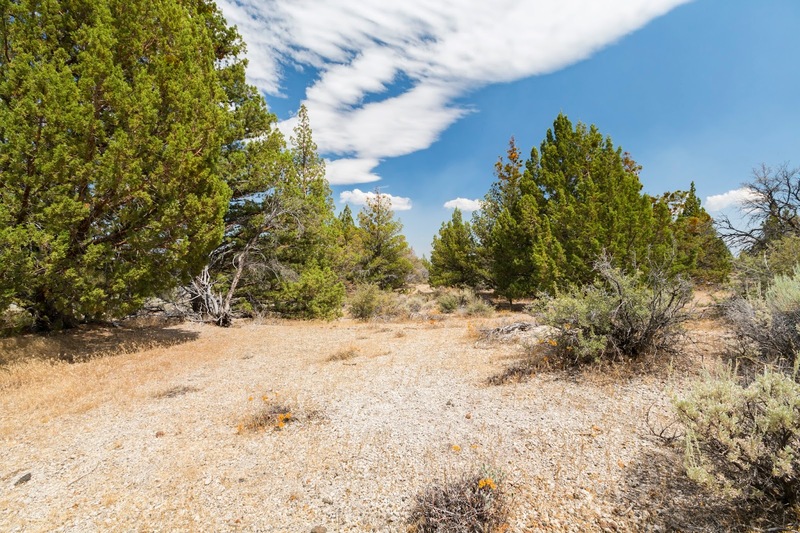 Here is some scenery near the cave. 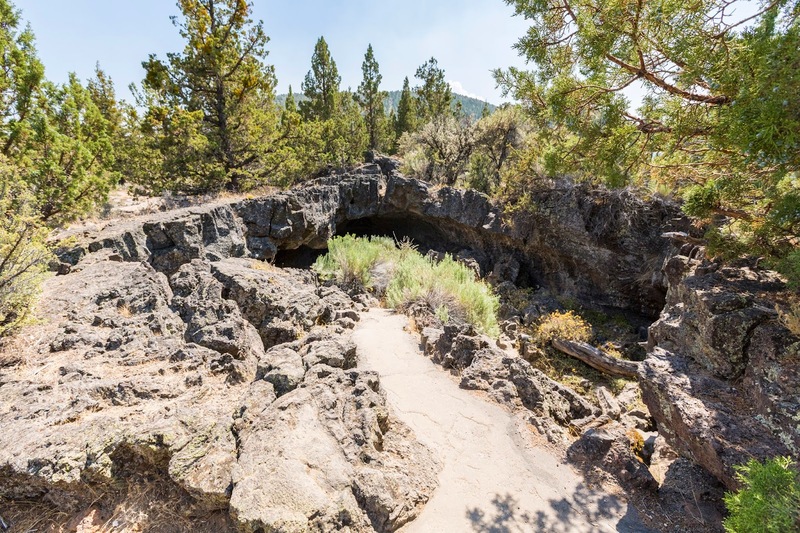 Here is the entrance into Valentine Cave. The features of Valentine Cave is different than the ones I've shown you so far. 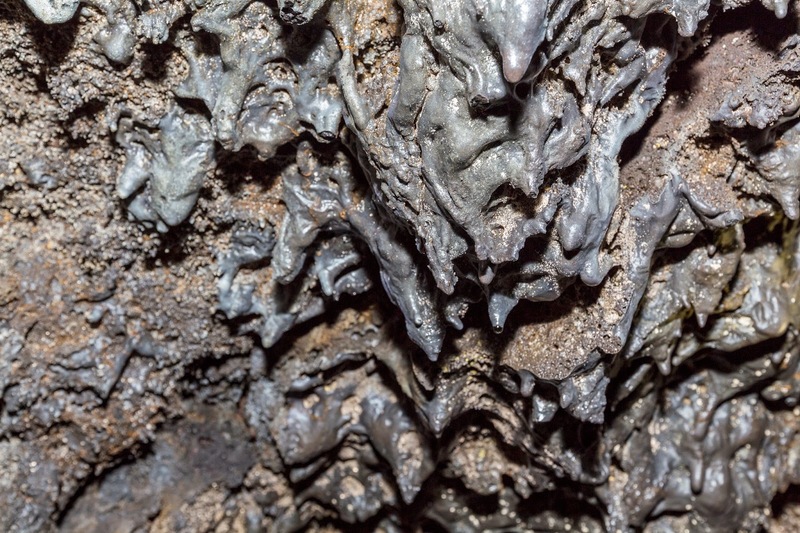 You can tell that these formations was formed from the flow of lava. 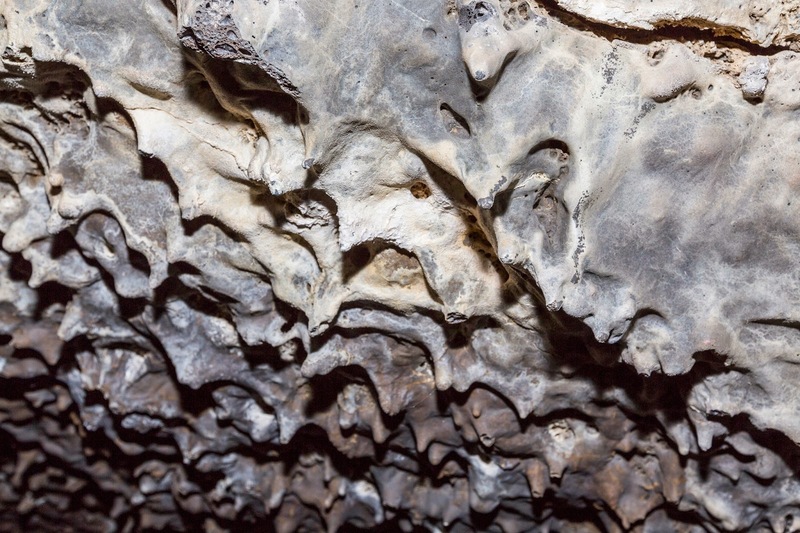 This is what the cave roof looks like. Looks like liquid doesn't it? 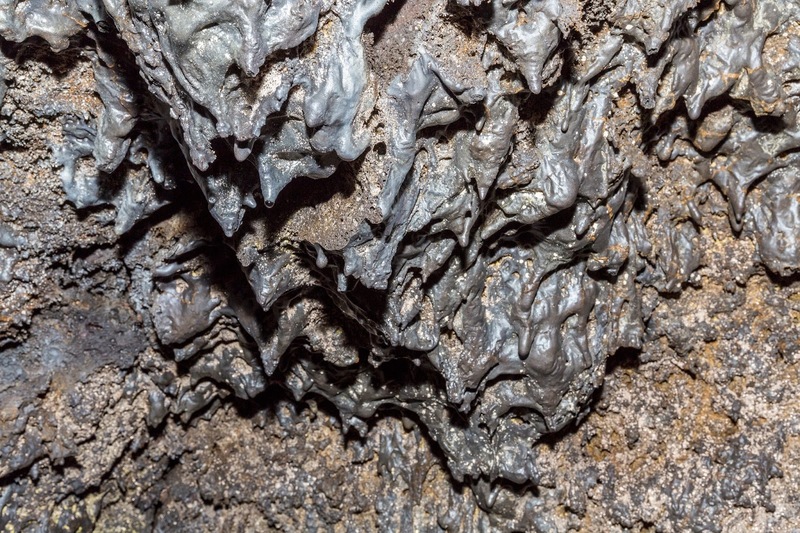 Here is another shot of the cave roof. 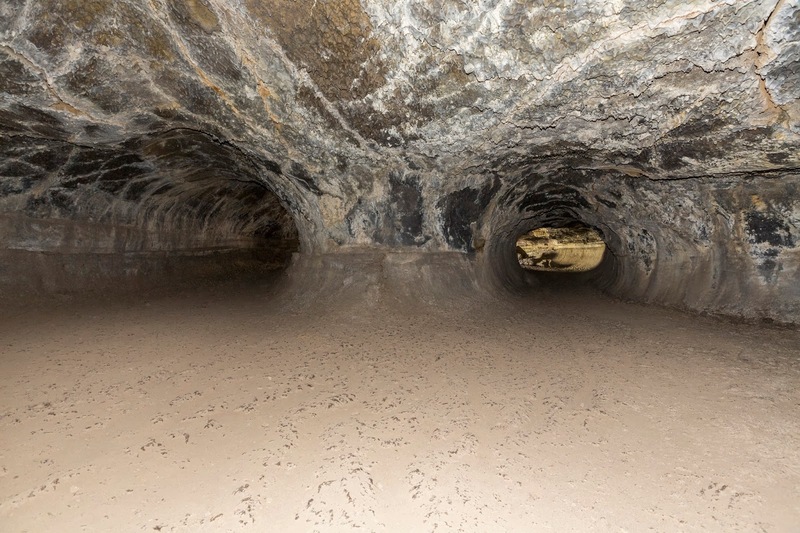 Here is another photo from inside Valentine Cave. Another few shots of the cave roof. 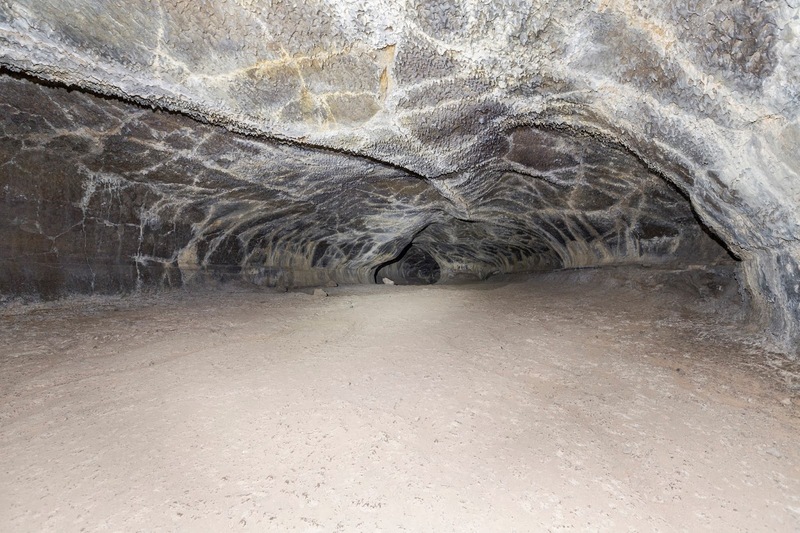 This area of the cave roof was wet with hydrophobic bacteria (the gold color). The cave went in deeper, but this is where I stopped as the cave roof has gotten too low and to keep going, you have to squat down and crawl. I wasn't about to get that dirty. XD You can tell how the lava flowed in this cave from the ground.